The Nevada lineman has quick feet and likes pancakes. 247 is reporting this commitment but there has been no confirmation from the prospect. In addition we've not seen a tweet from the program with the typical "WOOF" indicaton. If it does become confirmed, the Huskies would have beaten out Notre Dame for the talented California prospect's services. In which Andrew cheats and we’re all desperate for receivers. Also, it turns out we’re all big fans of killer trench Dawgs — whoda thought? Catch up on all the latest football recruiting headlines in this week’s recruiting roundup. Catch up on on all of the latest football recruiting headlines in this week’s recruiting roundup. Day 8 - The Future is Bright? Preseason polls split widely on Washington’s outlook, one of UW’s tackles is primed for a breakout year, and a local five-star offensive lineman considers Big Ten country. Young (6-1, 185) was a 3-star recruit coming out of high school in the class of 2013. He originally signed with the Sooners and saw playing time as a redshirt freshman in 2014 racking up 215 receiving yards and 1 touchdown on 19 receptions. Young was dismissed from Oklahoma in May of 2015 for a violation of team rules. He spent last season at Riverside Community College where he caught 40 passes for 421 yards and 6 touchdowns. Scott Eklund mentioned that the transfer is all but done and they are just waiting on UW to evaluate his transcripts. Young brings some much needed depth and experience to Washington's receiving corps, especially after the loss of Isaiah Renfro earlier this summer. Young has 2 years of eligibility left and he'll be able to play immediately. We chatted with UW football prospect Connor Wedington about The Opening, recruiting, and which position he most wants to play in college. The NCAA has relaxed its rules regarding social media usage by coaches, and Chris Petersen is wasting little time in taking advantage. Three commits and several UW targets are among those participating this week at The Opening in Oregon. As the new recruiting writer around here, my first task has been to provide an in-depth breakdown of the current class of 2017 commits. Another great Husky Fanpost picks apart UW Football's status on the recruiting trail. How many commitments does UW hold and how much room is left in the class? Catch up on all the latest football recruiting headlines in this week's recruiting roundup. Huskies Land A Punter ... an AUSSIE Punter! Prokick Australia's Joel Whitford is a Dawg. And he's a Punter. And he's awesome. Enjoy. Here's Adam Jude's writeup of Joel Whitford's commitment to the Huskies as a member of the 2017 recruiting class. 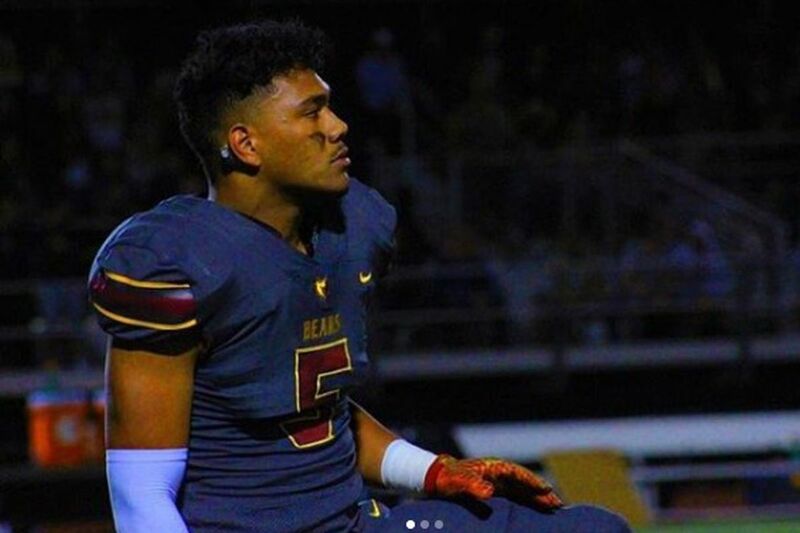 Chris Petersen's hiring of Ikaika Malloe is paying dividends in the state of Utah. Check out those stories and more of the latest recruiting headlines in today's recruiting roundup. The Opening came to town this weekend and a few Washington commits and targets were among the top performers. We have those stories and much more in today's recruiting roundup. Washington has landed the commitment of one of the top edge rushers in the West. One of Washington's top 2017 commits decided to visit Cal this week. We have that story and many more in today's recruiting roundup. Miss any recruiting headlines this week? We have you covered with today's recruiting roundup. Some new offers went out this week, including one to 3-star quarterback Chase Garbers. It was a bit of a slow week on the recruiting trail, but we have all the headlines for you in today's recruiting roundup. Miss any football recruiting headlines this week? No worries, we have you covered in today's Recruiting Roundup. The Huskies receive their 2nd pledge of the day in 3-star WR Alex Cook. 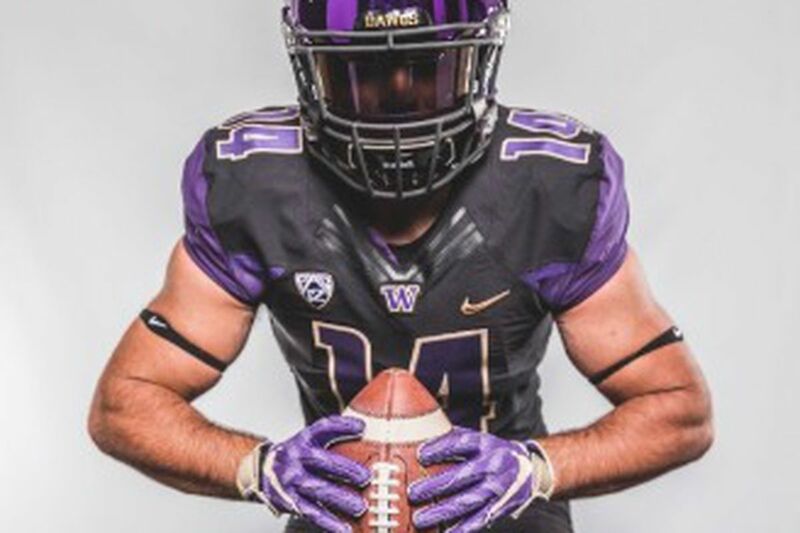 The top rated TE on the west coast pledged his commitment to the Washington Huskies on Saturday. Washington made waves this week after securing commitments from a pair of elite prospects in WR Terrell Bynum and DT Marlon Tuipulotu.